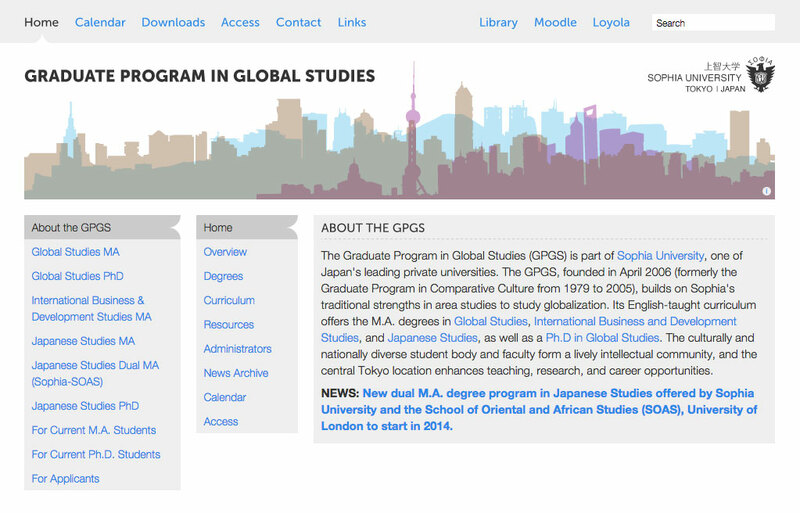 Website redesign for the Graduate Program in Global Studies at Sophia University Tokyo (上智大学) , one of Japan’s leading universities, famous for its international history and expertise. 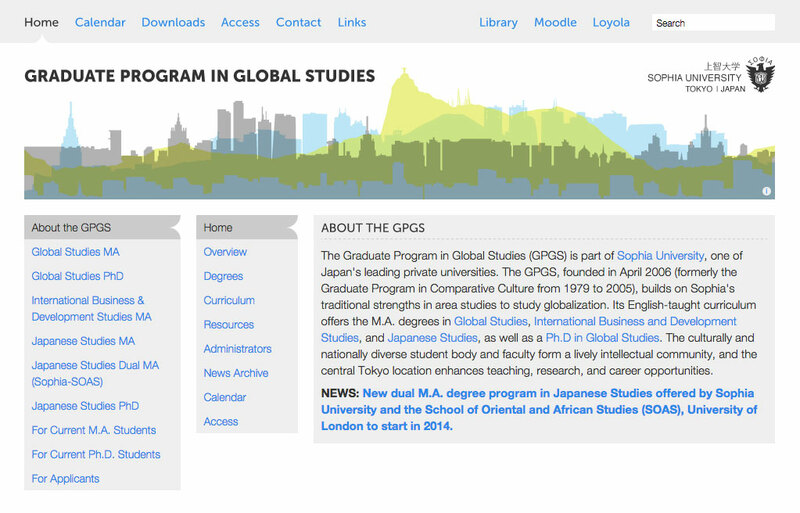 We created an interface and designs that captured the unique international identity that is the Global Studies department at Sophia University. Our designs and visualizations capture the essence of the interconnectedness of today’s cities, while expressing the constantly change that is globalization. 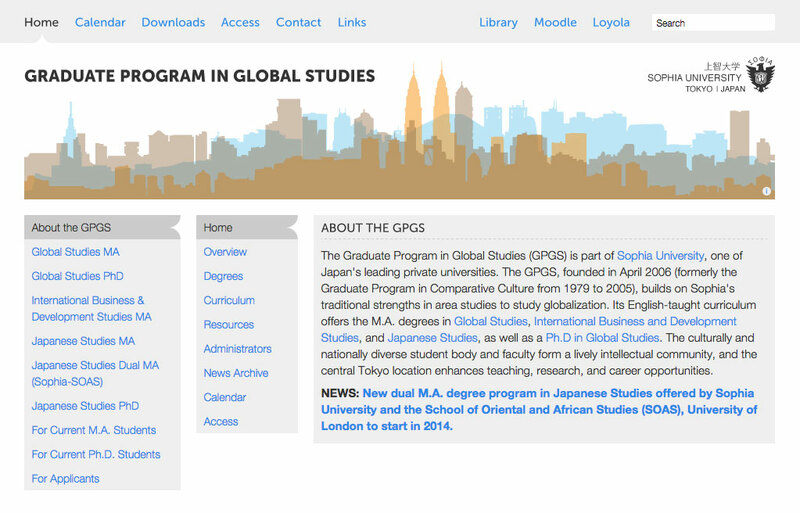 We were tasked with redesigning the website for the Graduate Program in Global Studies at Sophia University. 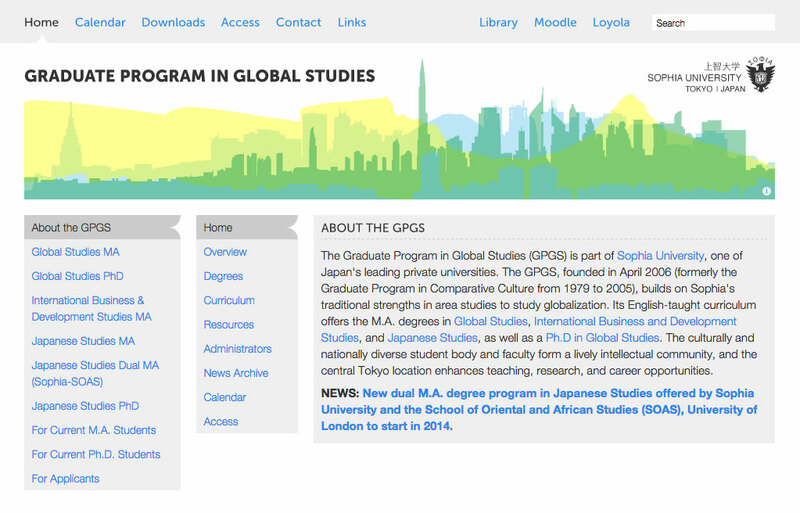 The Graduate Program in Global Studies was founded in 2006. 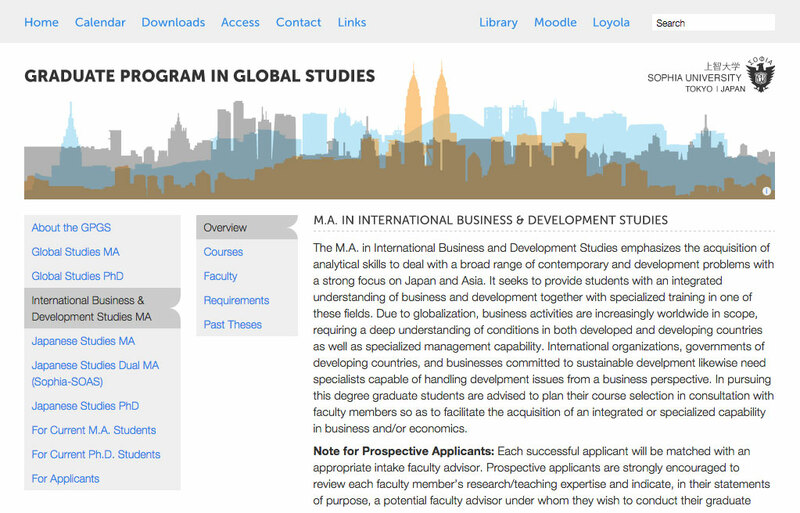 Its English-taught curriculum offers M.A. 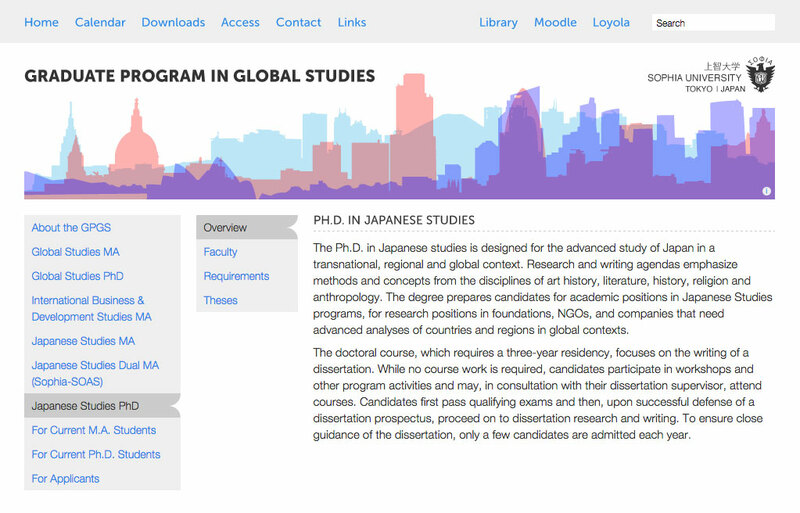 degrees in Global Studies, International Business and Development Studies, and Japanese Studies, as well as a Ph.D in Global Studies. 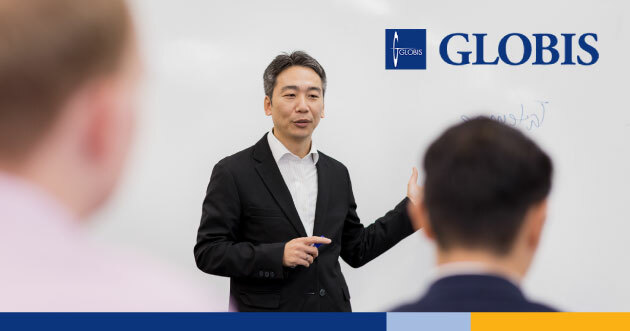 The program’s location in central Tokyo enhances the classroom experience and research activities, with internship and employment opportunities for students. 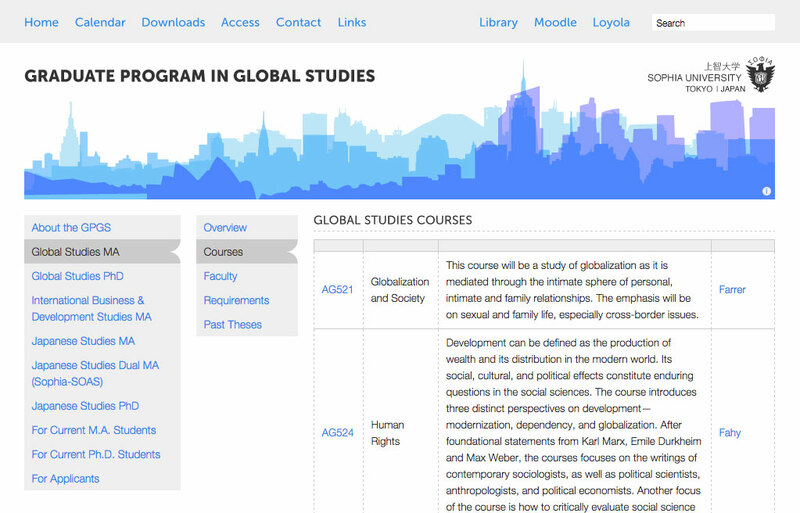 The Global Studies department needed a new, modern website that was both informative and easy for students to navigate. They also needed graphic elements that could encapsulate their global identity in their students, faculty, and program content. We focused our design concept on global cities as a part of global culture. 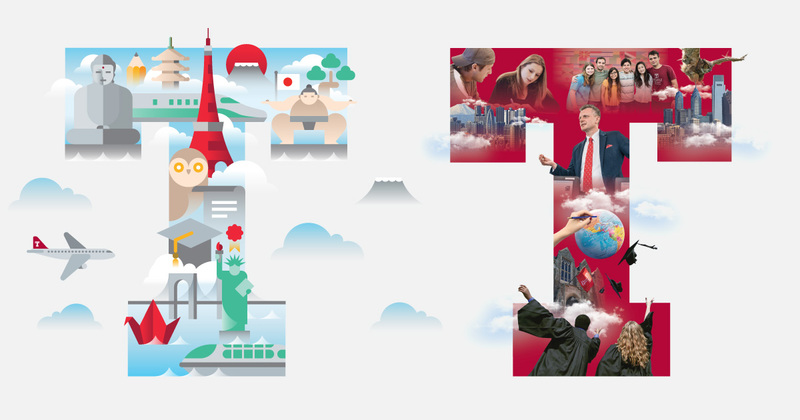 We used the unique skylines of major cities like Tokyo, New York, London, Shanghai and others as header graphics for the website. The overlapping skylines express the interconnectedness of our cities and cultures today, and this was the starting phrase for our design concept. The header graphic consists of transparent images of the Tokyo skyline paired with two other semi-transparent skyline graphics overlapping. The two additional skyline graphics are chosen by a random using a script which creates a variety of visual combinations using images of skylines from other cities. 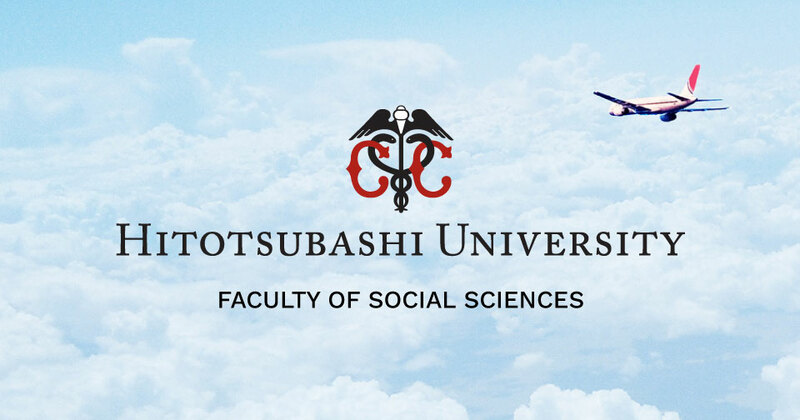 Just like the students and faculty that make up Sophia University, there is an endless variety of combinations, cities, and cultures that can come together to make a global society.